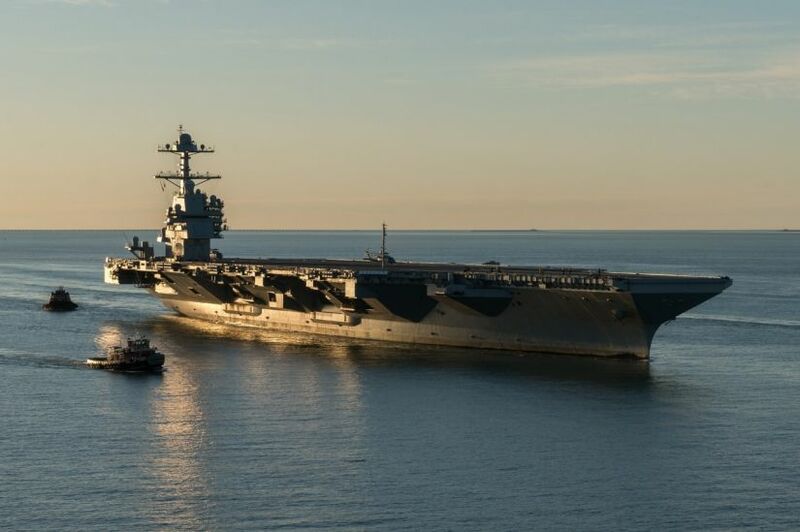 CVN-79 John F. Kennedy **** 2020 1,106 100,000 First steel cut Feb'11 ; Named 29May'11. ** - LTjg George H. Bush was the youngest pilot commissioned in the Navy. He flew 58 combat missions in a TBF from the carrier San Jacinto (CVL-30). Shot down September 1944 while bombing Chicchi Jima ; was rescued by a submarine. *** - LT Gerald R. Ford served as Asst Navigator on USS Monterey (CVL-26) during WW2. **** - LTjg John F. Kennedy was a MTB commander at Tulagi who saved his crew when PT-109 was rammed. CG-52 Bunker Hill 1986 567 9,925 San Diego, CA. 7 to retire FY'2013; none have. Now 2019 ? CG-61 Monterey	 1990 567 9,777 Norfolk, VA. 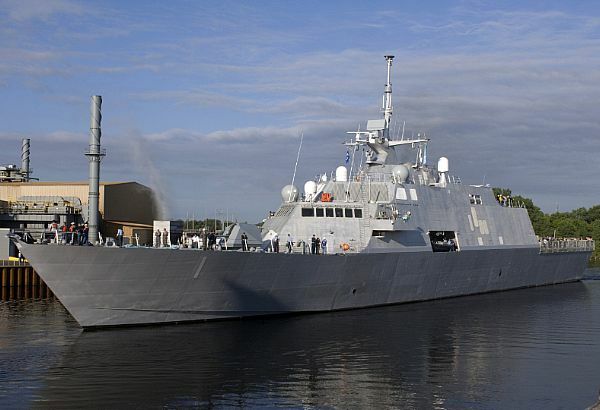 The first five CGs were designed as Aegis superstructure on Spruance class hulls for anti-aircraft operations. 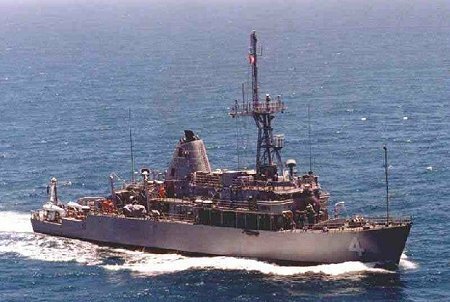 They could not fire vertical Tomahawks and were retired, as were all Spruance class destroyers. 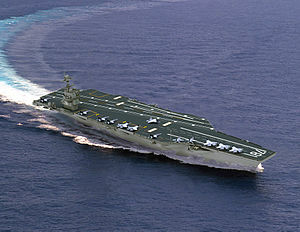 Budget cuts discussed January 2012 call for retiring the seven oldest cruisers and increasing the number of destroyers. 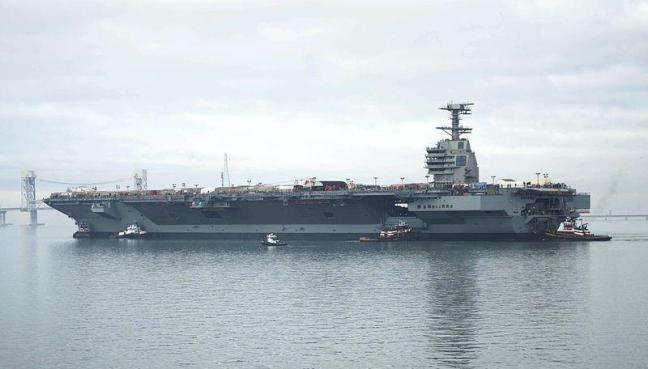 ** Four to Decomm 31Mar'13, but retained under the National Defense Authorization Act for 2013. Note: size is of a WW2 heavy cruiser, half again heavier than current cruisers and destroyers. More properly identified as CLG-1000. 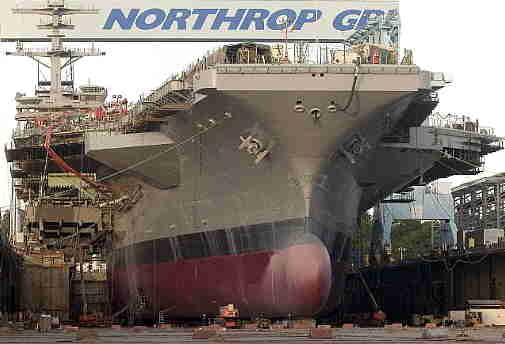 DDG-1002 Lyndon B Johnson 201819 600 14,600 ; 140 named 16Mar'12 under construction; 50% Jan'17. 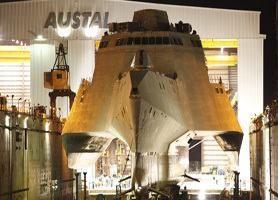 Zumwalt seems to have increased 1,000 tons during construction. DDG-55 Stout	 1994 505 8,928 Norfolk, VA.
DDG-56 John S. McCain 1994 505 8,829 Yokosuka, Japan. DDG-57 ` Mitscher	 1994 505 8,948 Norfolk, VA.
DDG-58 Laboon	 1995 505 8,856 Norfolk, VA.
DDG-59 Russell	 1995 505 9,045 Pearl Harbor, HI. DDG-60 Paul Hamilton 1995 505 8,870 Pearl Harbor, HI. DDG-61 ` Ramage	 1995 505 8,943 Norfolk, VA.
DDG-62 Fitzgerald 1995 505 8,929 Yokosuka, Japan. DDG-63 Stethem	 1995 505 9,000 San Diego, CA. 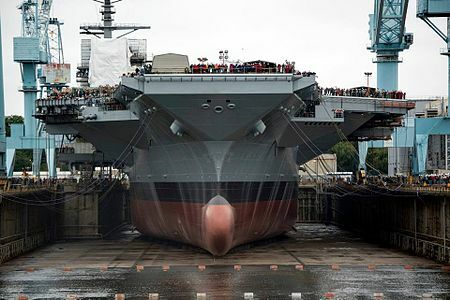 First 28 ships of the class are being modernization in life extending measure of hull and systems. Planned 32 ships plus 20 enhansed design. we are already down 14 ships these are supposed to replace. LCS 1 Freedom pic 2008Nov 379 3,089 SanDiego Deploy Mar'13. Return 23Dec'13. 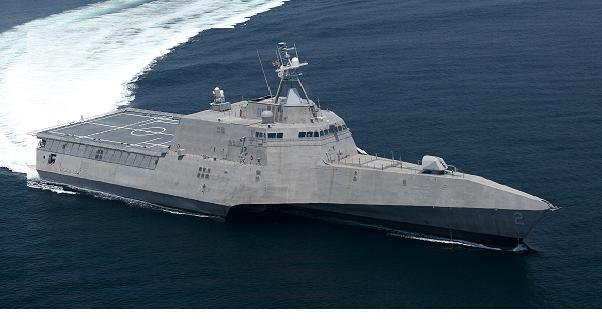 LCS 19 St. Louis 20__ 388 3,000 Named 20Apl'15. Laid 12May'17; Laid 12May'18. LCS 21 Minneapolis/St. Paul 20__ 378 3,000 Keel 22Feb'18. LCS 6 Jackson 2015 418 2,300 San Diago Comm 07Dec'15. 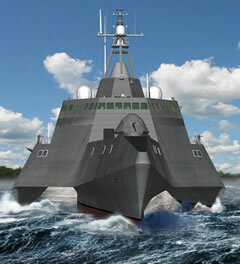 An upgrade to the LCS series is being planned, possibly to be called a Frigate to pretend it is not a patrol boat. Warrior replaced Gardian at Sasebo. Ingleside, TX, units relocated to San Diego.Spring-Summer'09. Ingleside closed 29Sep'09. The 13 PC have reached end of 15-year life and rebuilt adding 8' to the stern. PC-1 to Philippines. Mark 6 Anti-swimmer dolphin system. Bottlenose dolphins and California sea lions. A dolphin unit deployed in Bahrain protects warships 24/7. 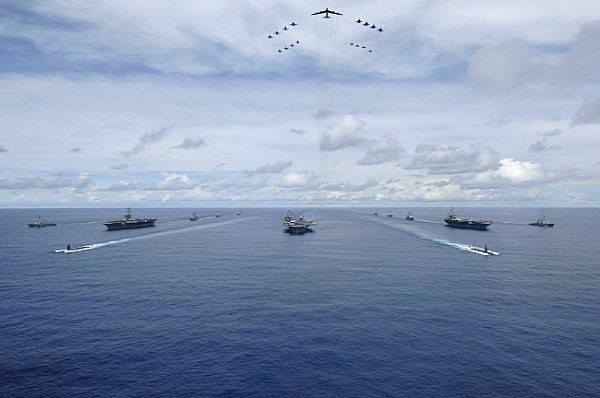 259/290 ships Fleet=272 ships in 2015. Military Fiscal Year runs from Oct 1 to Sept 30, and starts three months ahead of the calendar year. A ship to commission in FY'16 might properly do so between Oct '15 and Sept'16. 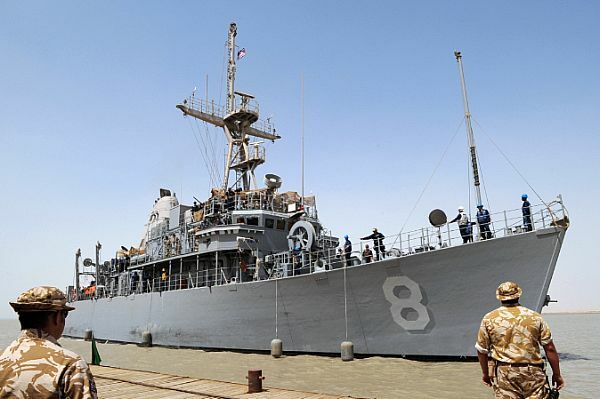 1 In March 2014, the Navy started counting self-deployable support ships for the fleet such as minesweepers, surveillance craft, and tugs as part of its "battle fleet" in order to reach a count of 272 as of October 2016.